Death bear does a deadly smack to the enemy. 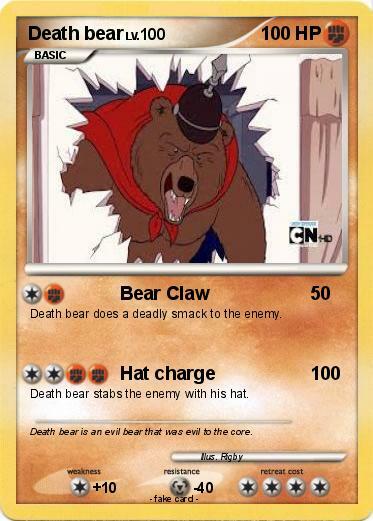 Death bear stabs the enemy with his hat. Comments : Death bear is an evil bear that was evil to the core.